In business since 1984, Gabriel Builders is an award-winning custom builder and design firm with an emphasis on handcrafted home building and establishing lifelong relationships with clients. Grace Builders is a custom home design/build company located between Asheville and Hendersonville, North Carolina with over 30 years of experience. SureFoot is dedicated to raising the standard of the green-built housing environment. Each of our custom designed homes showcases the latest in sustainable materials and energy efficient technologies. Over the last 20 years Living Stone Construction has been exceeding expectations through the renovation and construction process for clients all over the country relocating to Western North Carolina. We offer both design build and ground up construction with your existing drawings. We handle every aspect of home planning & construction. As a family-owned construction company founded on a tradition of superior craftsmanship that dates to the mid-1800s, we have a reputation for building custom homes of unparalleled quality and style. 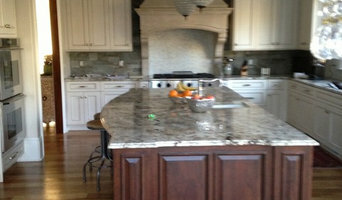 Semper Fi Custom Homes is a residential construction company specializing in renovations and additions. We tailor our services for every project, adapting plans to meet the needs of each client. We have built for clients from all walks of life and enjoy the creativity and energy that each project brings. We are passionate about what we do and in the end it shows. Towery Builders, Inc. is a custom home builder in Asheville, North Carolina. Our approach is simple: we build new homes one at a time so your home gets the attention it deserves. Grove Park Fine Homes builds luxury homes in the Asheville, North Carolina area. We relentlessly pursue perfection in every aspect of our custom home design and construction. Custom home builder located near Asheville, NC. Kevin Reed has been building the finest custom homes for over 18 years. He builds each home as if it were his own. With over 33 years of experience in construction, remodeling, and real estate Brian and Jenny have been providing their clients with award winning, quality construction of their dream home. Our reputation has been built on our strong values of quality, integrity, and professionalism. We strive to provide the highest quality materials, the latest technology & fine mountain craftsmanship. Ryan Miller Builders creates custom, luxury homes that fit today’s lifestyle. Our combination of skilled artisans and detail oriented professionals make up a team that consistently designs, builds and renovates the Upstate’s most sought after homes. Since 2004, Ryan Miller has built over 100 homes ranging from starter homes to multi-million dollar lake front properties. Ryan brings experience in all sides of the construction industry starting as s project manager for a local builder, working his way up to a purchasing and estimator and eventually acting as Director of Construction for a large regional builder. In early 2016, he felt it was time to start his own company, building upon the skills and expertise acquired during his career. What’s the most important step in building a new house from the ground up? Many people would say it’s choosing the right Avery Creek home builder. Constructing a new house is a huge and multifaceted undertaking, so it’s important to find custom home builders in Avery Creek, NC you can trust to bring your vision to life, as well as keep the process under control from start to finish. Although a construction job is never without surprises and challenges, an Avery Creek, NC home builder who’s a good fit for your specific project will make these far easier to handle. For Avery Creek residential home builders who also act as developers, the job starts well before the first nail is driven. They perform local market research to determine whether the prospective homesites make sense in the Avery Creek, NC market, as well as survey the land on which the house will be built to make sure it is suitable for construction. Custom builders also obtain the necessary permits. 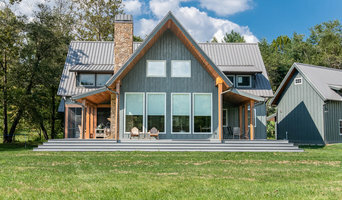 A good custom home builder in Avery Creek, NC has skills that go far beyond construction — he or she must supervise subcontractors and artisans; keep tabs on local zoning regulations, building codes and other legalities; inspect work for problems along the way; and perform dozens of other roles that are essential in building a quality house. Here are some related professionals and vendors to complement the work of home builders: Interior Designers & Decorators, Landscape Architects & Landscape Designers, Architects & Building Designers, Kitchen & Bath Designers, Specialty Contractors. House builders are responsible for ensuring that the home-building project sticks as closely as possible to the specified timetable, particularly in the event of change orders. Custom and luxury home builders in Avery Creek, NC also need interpersonal skills to deal with clients of all types, soothe frazzled nerves, negotiate conflicts and resolve problems. Find custom home builders in Avery Creek, NC on Houzz. 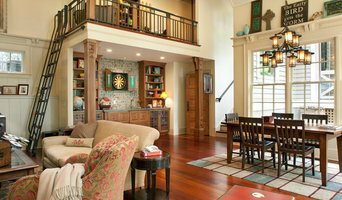 Narrow your search in the Professionals section of the website to Avery Creek, NC home builders. You can also look through Avery Creek, NC photos to find a house you like, then contact the builder who worked on it.